The Iowa Homeless Youth Center (IHYC) works to eliminate homelessness among children and young mothers in Polk County. The Iowa Homeless Youth Center (IHYC) was launching their Rooftop Gardens program. They worked with Meyocks to give the program a brand identity to raise both awareness and funds. Iowa Homeless Youth Center leaders saw a hydroponic herb garden on the roof of its Youth Opportunity Center at 612 Locust in downtown Des Moines as a way to raise awareness for the group’s work, generate funds for the non-profit and employ the homeless youth they serve. Organizers faced the challenge of tangibly bringing the project to life while raising initial funds to begin construction. They sought Meyocks’ help in building a brand identity to meet this goal and market the group’s work and future plans to the community, including potential financial partners. Short-term goals comprised building a distinct, unique brand identity to show the project’s tangible value to the community, a critical fundraising component. The longer-term goal remains to build a brand that easily connects to IHYC and its goals and rallies community support for the projects and the products they will produce. 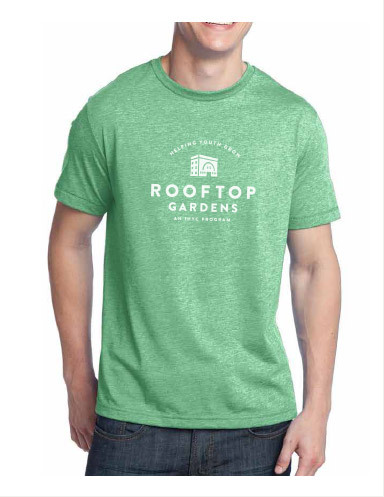 Meyocks created the Rooftop Gardens brand as a vehicle to convey the functions and scope of the project and demonstrate its value to the Des Moines metro area. Taking into account competition for the initial planned product launch, basil, as well as customer profiles and IHYC brand beliefs, we built a brand identity, including name, logo and package design that IHYC leveraged in competing for grant funding from the Community Foundation of Greater Des Moines Ignite Community Innovation Challenge. 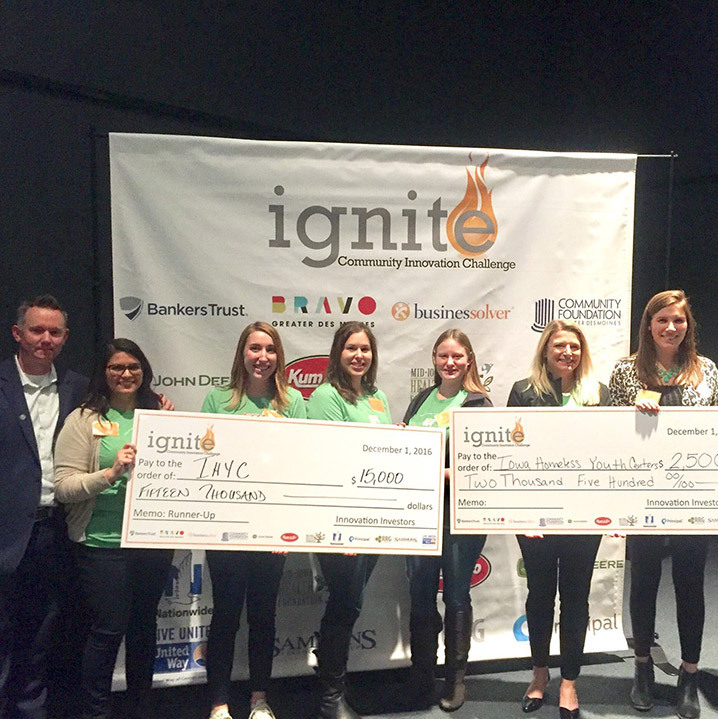 During a December 2016 event, IHYC organizers pitched Rooftop Gardens — and its influence on the group’s ability to create positive change in Des Moines — to a panel of community leaders during the Ignite Community Innovation Challenge. The group was awarded a total of $17,500 in funding through the Community Foundation of Greater Des Moines. 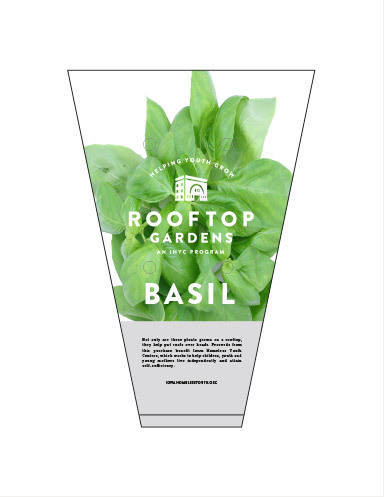 The project was lauded as a way to "break the cycle of poverty through the development of urban agriculture on the roof of their downtown facility." 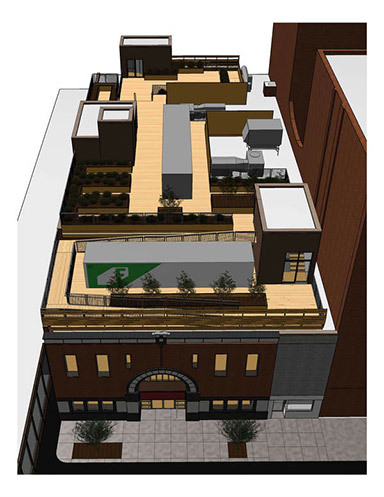 Though more funding is required to bring IHYC’s Rooftop Gardens to fruition, this grant is a start, enabling IHYC to begin construction planning for "the first rooftop garden in central Iowa."" The brand Meyocks built for IHYC will remain the cornerstone of the group's efforts at launch and in the future as they look to expand product offerings beyond basil.